University Hospitals Coventry and Warwickshire NHS Trust improves blood tracking for greater patient peace of mind. 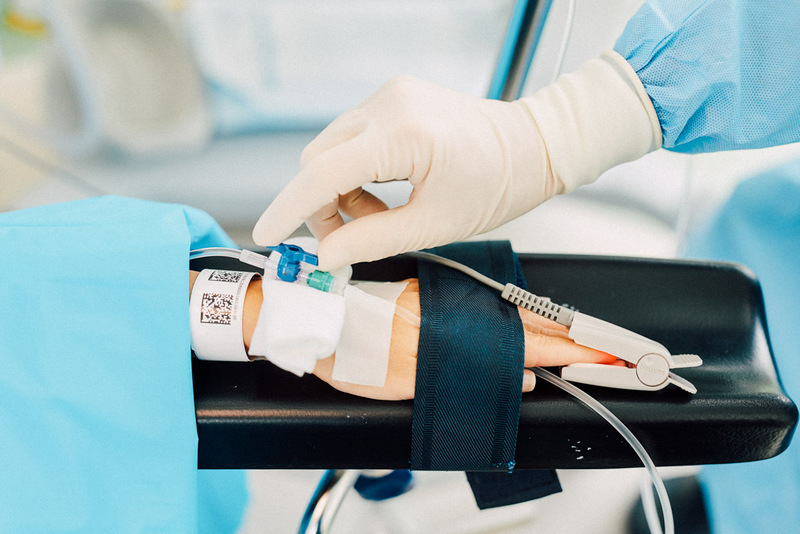 University Hospitals Coventry and Warwickshire NHS Trust (UHCW) found that its blood tracking system was not complying with the latest regulations. As a regional major trauma centre and tertiary centre for cancer and neurosurgery, the trust carries out a high number of blood transfusions. An incompliant blood tracking system could undermine clinician confidence and even compromise patient safety. It was imperative that a robust solution was built. And, with the trust’s vision to provide leading-edge clinical services, it needed to embrace innovation too. UHCW upgraded its blood tracking system, complete with additional functionality ensuring compliance with ISB 1077 regulations. The trust’s software provider integrated the GS1-certified PrintAnywhere product for wristband and document printing. GS1 DataMatrix 2D barcodes were printed onto patient wristbands allowing for greater positive patient identification. Thanks to user-friendly 2D barcoding and low-cost printing, the new system could be introduced without significant cost increases. "The giving of ABO-incompatible blood is classified as a ‘never event’. With the introduction of the GS1 DataMatrix wristband and blood transfusion personal digital assistants, patients have reported feeling reassured when we scan their wristband and then scan the bag of blood. They know that if there is any error with either the blood or the wristband the error will be detected. This is a crucial step in reducing risk with blood transfusion. " The introduction of the new blood tracking system has led to blood wastage being reduced to 4.1%. Patient compliance with wearing wristbands has also increased from 83% to 100%. The solution ensures positive patient identification throughout the transfusion process, leading to a higher standard of patient care. The system also means one-nurse checking can be introduced, so staff resource can be utilised more effectively.